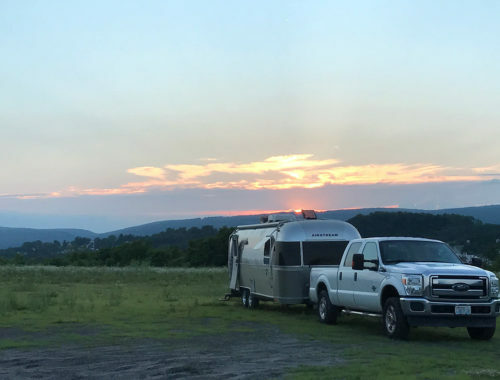 It took all day, but the guys at Sutton RV were great. They were able to deal with the leaks right away (I haven’t tested them yet, but they were confident that they have them fixed.) They also cleaned up the front door with acrysol and applied xzilon to it and it is now fine. 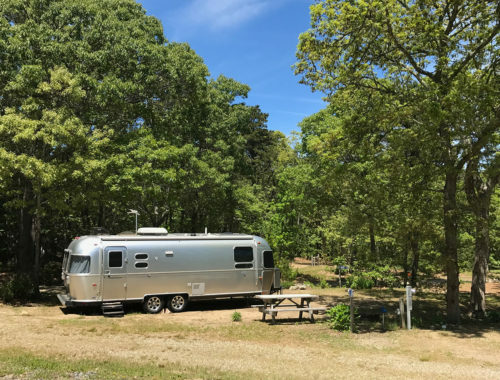 At first, the issue with the TV in the bedroom was that Airstream didn’t install a splitter from the blueray to the front bedroom, so they overnighted the splitter. Once our other issues were fixed, we sat around for a few hours waiting for fedex to show up. When the splitter arrived, it turned out we have a bad HDMI cable so they have to replace that! Pictured above you can see that they removed our wall in the bedroom. 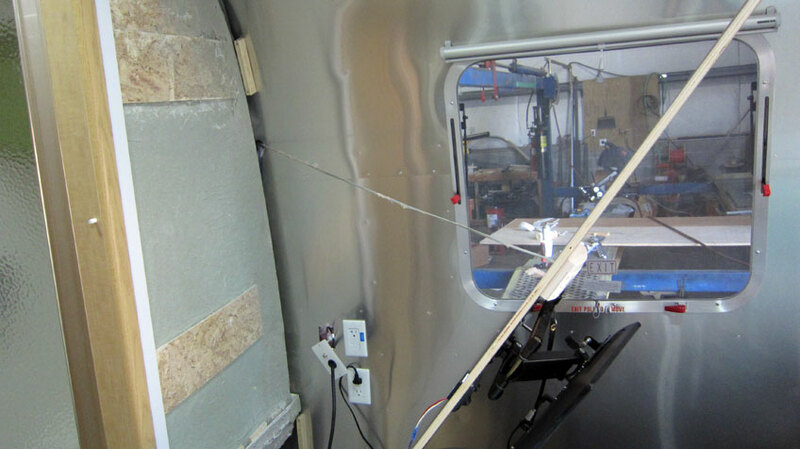 They also removed a panel by the dinette. 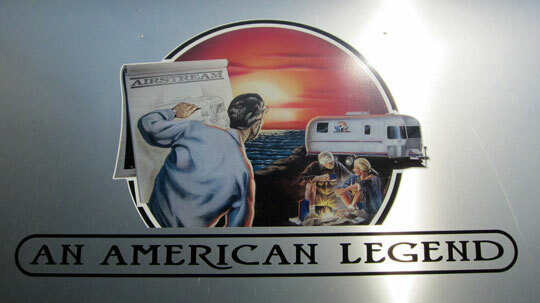 *UPDATED 9/10 3:15pm – I forgot to include this photo of the side of a 1997 Airstream Norman Rockwell Edition. Apparently only 50 of these were made and there was one being restored by the Sutton RV Service Department while we were there. An American Legend. We will keep our fingers crossed, just as they were when we pulled out from the county campground in Eugene. 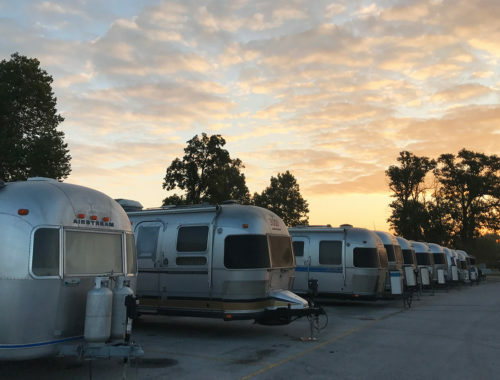 Aside from getting our Airstreams the other high point was meeting you all, and we are absolutely delighted some of the issues have been resolved. We’ll keep our antennae beamed and hope they soon indicate a nearby presence. It’s amazing that they could get acrysol and xzilon shipped all the way from the Klingon home world overnight! I’m sure you heard from Bert and Janie about corrosion issues… Glad you’re on top of it. You might consider applying a good quality car wax to your new baby before going on the road again… We use Meguiar’s Mirror Glaze Pro Polymer Sealant once a year after a thorough washing. Hi Bill, I think they accidentally xziloned our unit! We washed it this morning because there was so much dust from the fires here in Oregon and the water ran off like it had been waxed. I’m sorry you had issues but happy they were fixed quickly! Also, I like the new look of the blog, and the categories at the top are nice! Hopefully the worst is over! We’ll keep our fingers crossed your out of the service repair woods! Hope you’re on the road soon! !